Has this ever happened to you? It happens to lots of people and it drives them crazy. You may be looking to buy your first property or sell your house. Either way, after weeks of stressful negotiations and countless phone calls you arrive at the final hurdle only for the entire deal to fall through. You’re left with bitter disappointment and can only question whether it was worth making the decision in the first place. What’s even worse, your estate or letting agent’s gross over-promise “premium, hassle-free service” creeps back into your memory. Sound familiar? Well, you are not alone. And that’s why we can help you. A lot of consideration and thought must go into the decision making process when you are looking to rent, buy or sell a property – and rightly so. More often or not, it will be one of the most important transactions you will ever make. As choosing to rent, buy or sell your property is such a big decision, we insist on providing you with as much transparent, helpful and honest information as possible when detailing the services we have to offer. We’ve been working in the property market collectively for more than 30 years, and over that time we’ve built up a wealth of knowledge and expertise dealing with the property sales and lettings of residential, commercial and land properties. You can use this knowledge for your benefit. What’s more, it doesn’t cost you anything extra - not a single penny. We never use sweeping statements, exaggerated claims or meaningless jargon. Instead we listen to exactly what you need and get things done. We’re only ever a phone call away when you need valuable advice. You’ll never have to worry about trying to get past an answering machine. All of our relationships are built on trust and understanding – that way everybody comes out on top. Some people will rush to an estate agent that offers a suspiciously low commission rate. They don’t stop to wonder why it’s so low. Alow rate can often be an indication of bad service, but that’s not to say we are over priced. You’ll often get more than what you pay for - with no hidden costs. The first thing you’ll notice when you read our testimonials is that they are extremely varied. Whether you are a residential or commercial tenant looking for a property to let, a landlord looking for a tenant, a buyer who is seeking a property or a vendor trying to sell a property – we can meet your exact needs. But don’t just take our word for it. You’ll have to read the following testimonials – from people who have been in your shoes - and see for yourself. Comments from Mr I Locke on 04/01/2016 - "I have let 3 properties through Parker Baker Properties (now PB Proeprty Sales & Lettings) over the course of the past 5 years and would not hesitate in recommending them to any existing or prospective Landlord who wants to offer good quality accommodation at the correct value. All of their selected tenants have been of a high standard, the general wear & tear per annum has been low and any rental or accounts queries have always been handled promptly. 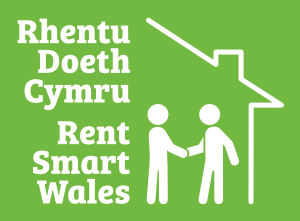 Additionally, there is always a friendly member of staff on hand to answer calls and the comprehensive property management knowledge provided by both Gareth Halfpenny and Angela Sullivan is thorough, clear and informative. I have also found the level of fairness and transparency offered to each tenant to be second to none, which as anyone knows is essential in keeping property kept well and fully occupied." Comments from M Morgan on 19/08/2015 - "...Again, just to take the opportunity to thank you again for all you have done and for looking after me during the tenancy, the best agency experience I have had while renting..."
Comments from P Darley on 28/07/2014 – “I have a property with you which I rent out. I have at all times been treated with courtesy by your team and have no complaints in the way in which they look after the tenancy." "We have let our house in Swansea through PB Property for several years . We have enjoyed a pleasant and efficient service from this firm, from finding generally suitable tenants to dealing with repairs and handling payments and invoices on our behalf, and these services have generally improved over the past few years. We would recommend them for the letting of house properties and also due to us always receiving courteous, business-like and friendly dealings with their staff and management in Swansea." You can also go to www.AllAgents.co.uk, www.tpos.co.uk, www.google.co.uk or www.facebook.co.uk if you’d like to read more reviews.